Learn the Basics of Cheese making in this 3-4 hour class. Here you will learn how to make Labneh, Ricotta, Halloumi & Feta. Classes are run by Narelle and include a light platter of home made goodies for lunch – the best part is that you get to take all of your cheese creations home! Please ensure you fill in an enrolment form! Erin from Sticky Fingers Cooking School will teach your children to cook some delicious Cinnamon Scrolls in this class – They will make some new friends, learn basic kitchen skills and may even inspire a budding chef! 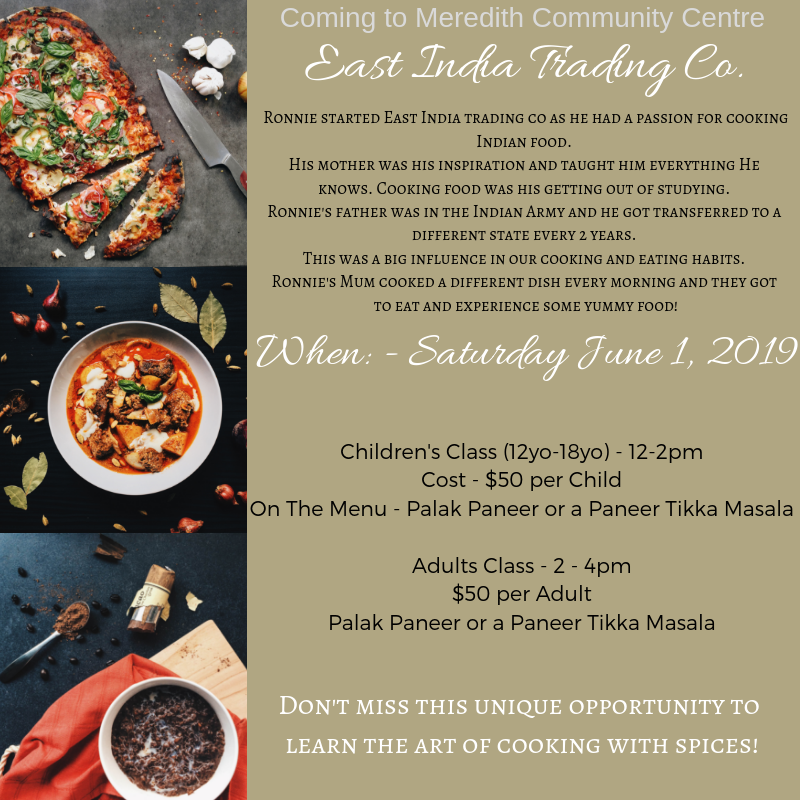 Ronnie started East India trading co as he had a passion for cooking Indian food. His mother was his inspiration and taught him everything He knows. Cooking food was his getting out of studying. Ronnie’s father was in the Indian Army and he got transferred to a different state every 2 years. This was a big influence in our cooking and eating habits. Ronnie’s Mum cooked a different dish every morning and they got to eat and experience some yummy food!